Perfect wedding photography for your ceremony and reception. I’ll help you get the photos of your dreams while helping to make sure your day goes perfectly. Major events like a wedding or engagement need to be celebrated and photographed so the memory of the day endures. Every couple has a vision of their perfect wedding ceremony and reception. I work hard for the bride and groom, and use years of creative experience, to ensure you get the kind of wedding photos you thought you would never have. Capture your moments with natural-looking photos that seem to feeze time at the perfect moments. 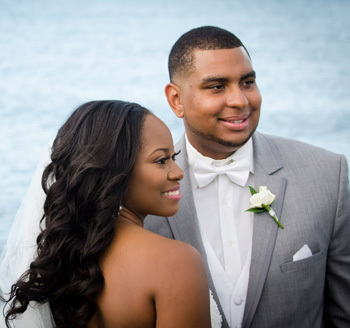 A photographer can make or break your wedding experience… Joseph Michael will definitely MAKE your wedding!! His ability to capture you in the moment is amazing which make for beautiful natural pictures. Don’t hesitate to contact him, he’s truly a professional photographer with very reasonable packages! Thanks Joseph for capturing our special days, it is really special for us to be able to look back and see all the things we missed, forgot and loved to remember. 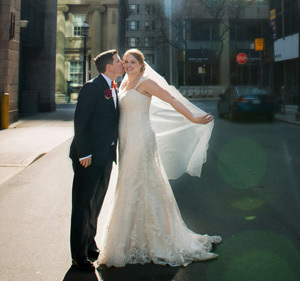 We got married in February 2017 at the Gladstone Hotel. It was one of the most special days of our lives and was only made better by using Joseph Michael Photography. All of the pictures we wanted, we now have. Joseph had an excellent rapport with everyone – bride, groom, bridal party, grandmas, tiny flower girls- you name it. This really helped bring out everyone’s most photogenic faces and as a result, we have a beautiful wedding album that we will cherish forever. Whenever we look back at our wedding album, we will always be happy with our choice. Thank you so much Joseph!!! Joseph’s expertise is masterfully capturing the timeless moments in our lives. Language cannot describe the vibrant emotion we experience every time we journey through the colorful memories Joseph created on our wedding day. His ability to capture the atmosphere is far beyond “being at the right place at the right time.” Through minor guidance from us, he quickly identified our key players, defined spectacular moments and brilliantly chronicled our special day from a thousand perspectives. 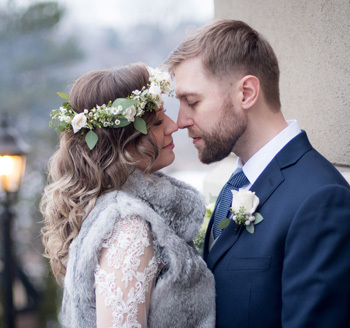 We felt that having amazing photos that would last for years to come was one of the most important decisions when planning our wedding, and Joseph’s photos went above and beyond our expectations. Not only were the photographs spectacular, but Joseph’s friendly, gentle, and imaginative personality helped make the day more relaxed and fun – who knew we’d be running through leaves in a park with Joseph right behind us? We highly recommend that anyone looking for a wedding photographer end their search with Joseph … you won’t be disappointed! Book your shoot today and reserve your date! As a Toronto wedding photographer, I bring a diverse style to my wedding photography and enthusiasm which is unmatched in the industry. With the high quality customer satisfaction and unlimited edits for two-years following your wedding, there really isn’t a second choice. On top of all that, the prices are affordable with packages starting at $1850 and includes high resolution images. 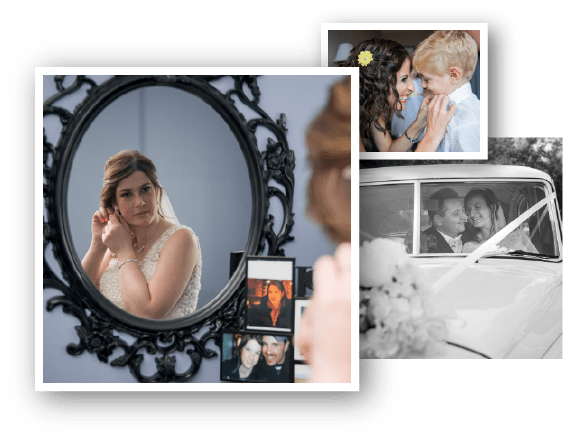 With 10 years of wedding photography experience, a fun and professional personality and a blend of photography styles that includes photojournalism, portrait and art photography, Joseph Michael Photography is the wedding photographer you are looking for. 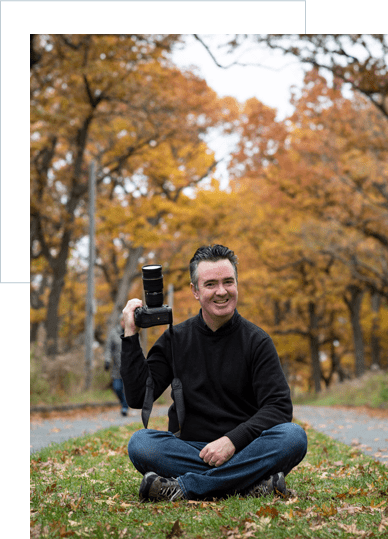 I’d love to meet-up with you to talk about your wedding photography, book an appointment today to get the right Toronto Wedding photographer for your special day. “These pictures are truly magical!! Thank you so much. They literally brought tears to our eyes this morning as we took the time to look over them. We’re over the moon with what you captured, thank you. I can’t stop looking at them. “I can’t thank you enough for being with us all day on Saturday. Our family and guests all loved you and so did we. We couldn’t have asked for someone more charismatic and (seeing how we ended up late…somehow…) straight to the point/on a mission when it came to taking all of the photos that we had asked for. “Victoria and I would just like to thank you for being our photographer. You were, without a doubt, the best vendor that we had chosen. You were professional, easy going, and very helpful in getting through our itinerary. Firstly, we would like to extend our thank you’s for capturing our special day in the most wonderful way imaginable! 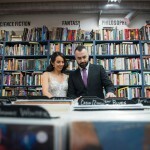 You went above and beyond our expectations with our engagement photos and especially with our wedding photos. Your professionalism, excellence, and CREATIVITY left not only us, but also our friends and family in awe of your work. Thank you again for doing such an amazing job! For the wedding of your dreams, you want photography that captures every beautiful moment. 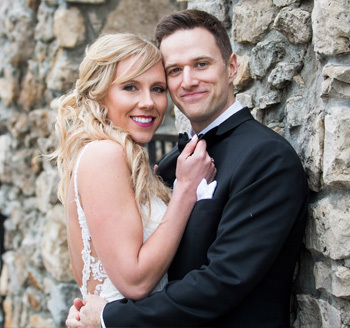 Here’s how to tell if Joseph Michael Photography is the right fit for you. Your wedding should be a stress-free, fun-filled experience. Once all of the details fall into place, it’s time to be with the one you love and enjoy your time together. At Joseph Michael Photography, we believe that getting beautiful photos should be the least of your worries. Prior to your wedding, we will discuss all of the important details to ensure that your day is spent focusing on each other – not on the camera. We’re here to capture the best images possible while you cherish the moment. 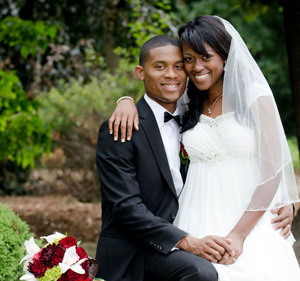 When it comes to your special day, you want images that capture the spirit and emotion behind your love as a couple. That’s why you need a photographer who takes a creative approach to photography, rather than relying on a one-size-fits-all-approach. From the “first look” to the after party, it’s important to get shots of those unique, funny and heartfelt moments. Joseph Michael has a creative eye for finding those shots that truly tell the story of your wedding day. 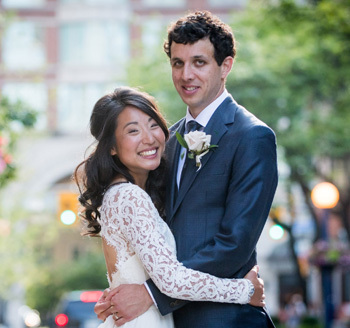 With over 10 years of experience photographing weddings in and around Toronto, Joseph Michael knows what couples look for in timeless, beautiful photos. 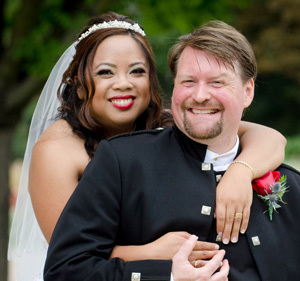 Our past clients rave about the amazing photos from their wedding – creating memories to last a lifetime. 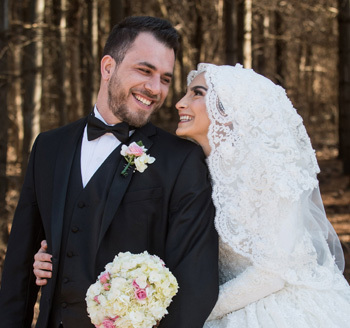 If you are looking for a trusted wedding photographer in Toronto, contact Joseph Michael to discuss the details of your wedding. Love, laughs, and joy all around – this is what makes your wedding day special and fun! Your photos should bring your special day to life for years to come. No one likes having to pose for the camera. You are your best self when you are comfortable and having fun. While you are cherishing those beautiful moments, Joseph Michael will find those organic and authentic shots that truly tell the story. Worry not and have a blast at your wedding! More than just the emotion behind the photos, you want images that are made to last. 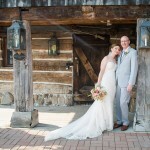 At Joseph Michael Photography, we use the best equipment and editing techniques possible to bring you natural, high-quality images. These photos can then be used in your album, to share on social media, and even added to cards and gifts. You’ll have the chance to select the images you like best and have them edited according to the look and feel you are going for. Many weddings can have a high price tag, and you may feel called to go all-out on your special day. Fortunately, your wedding photography doesn’t have to break your budget.  We’ll work with you to create a package that fits your needs. At Joseph Michael Photography, we guarantee a high degree of professionalism, transparency, and open communication. No hidden costs or sneaky fees. Work with Joseph Michael to find the best solution for you. Explore our map of luxurious venues, landmarks, and hidden gems in Toronto. From castles to seemingly untouched nature complete with ravines. Find the perfect location and make your wedding photos unique, personal, and enchanting. Kortright Centre for Conservation is located in wonderful Woodbridge, Ontario. Located in the northern part of the Greater Toronto Area, it is an escape from busy city life and surrounded with tons of nature that is gorgeous and captivating. It’s an absolutely lovely place for nature-loving, picturesque wedding photos. Some of the best nature-themed wedding photos have been taken here. Situated atop the renowned Rosewater restaurant, the Rosewater Room is a stunning space that revolutionizes the banquet industry. With its intimate, exclusive setting it features a completely open concept design with hand painted cornice molding, hand crafted one of a kind chandeliers and floor to ceiling windows. Royal Doulton chinaware and staff trained in the fine dining industry make this venue the perfect space for weddings and private events. 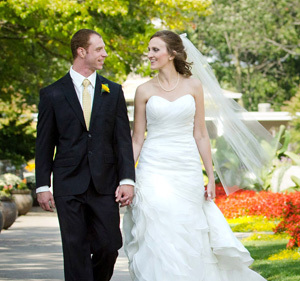 Functions and weddings at The Estates of Sunnybrook have never disappointed. The outdoor venue for wedding ceremonies is especially lovely and entirely removed from any reminders of the city. Another classic touch is that guests can enjoy the cocktail hour outside in the beautiful Vaughn Estates … it’s really picturesque. The Gladstone Hotel in downtown Toronto is a destination hotel that offers a great venue filled with contemporary art and beautiful decor. They also provide accommodations for out-of-town guests, making it a great place to host your wedding. The Gladstone has a few different rooms with beautiful interiors. Their in-house catering also offer great meal options and delicious food. 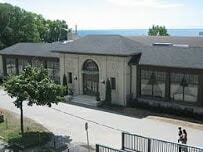 Lakeview in Hamilton is a romantic beachfront wedding venue that is absolutely stunning. They offer beach ceremonies and a gorgeous view of the Toronto skyline. 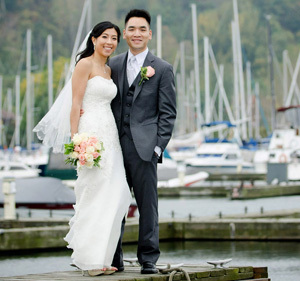 Lakeview offers a unique lakefront wedding experience that you can’t get anywhere else. It’s a great location for those who want a combination of nature and city life – offering a beach experience in the city. Lakeview has delicious cuisine and always creates a great ambiance for wedding celebrations. The Doctor’s House offers a lovely and romantic ambiance that is perfect for weddings. They boast four unique halls as well as a quaint vintage wedding Chapel that is hidden away within their beautiful gardens. This is a perfect wedding venue for a beautiful traditional wedding ceremony. Truly elegant place to host a wedding. It sits right by the water, has a 4,000 square foot two-tier outdoor deck, fantastic food, and a large open concept with great lighting. It’s a truly incredible venue, but can be booked for months and months ahead of time. Strongly advise you book your wedding well in advance of a year if possible. The Cambridge Mill is a renovated 19th century mill with beautiful views of the water. It is an upscale venue rooted in tradition that honours the past in a modern luxurious way. They have very talented chefs who prepare absolutely delicious food. Walls of windows provide a panoramic view of the Grand River, making for incredible day weddings and very romantic night ceremonies. Tell us a bit about your event and get a personalized quote.